THE CHALLENGE | DO YOU KNOW WHEN THE NEXT ROCKET LAUNCH IS? Create a tool to track international rocket launch information. 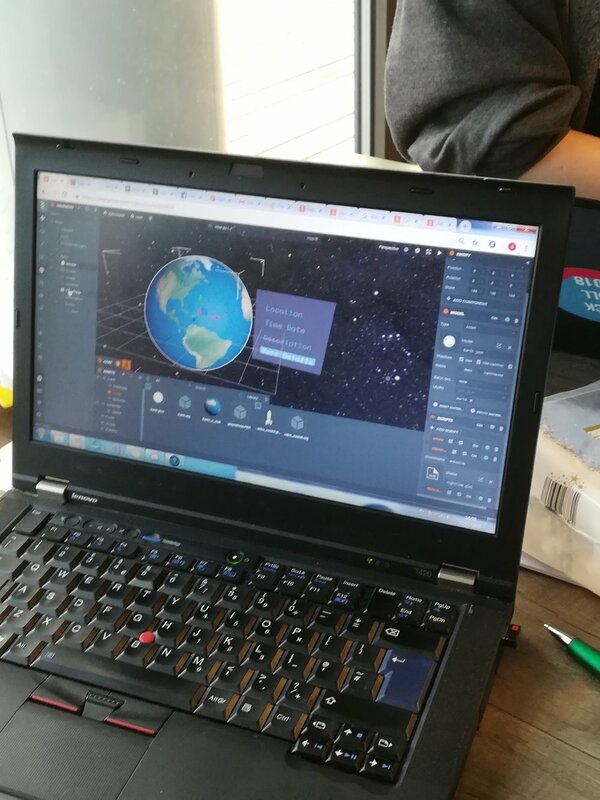 The team has made some progress with their website which shows a rotating globe and has space for a planned calendar which will log all the dates of planned rocket launches. The Space Track branding looks great and they are sharing out the different jobs. Some are researching rocket launch dates and some are working on the code. The team’s website looks great and is near enough fully functional by the time of the presentations. It is complete with information pages for each rocket launch and a calendar for a more traditional way of viewing when the next launch will be. And we have our judge’s choice winners! Well done team. The judges could clearly see the practical application of this project and felt it had fully achieved what the brief was asking for. The quality was high and the Hull CSS team were undoubtedly deserving winners of the prize.